Lying in the heart of the Aegean, yet very close to Athens, Mykonos offers a variety of activities aimed to satisfy your heart's every desire. 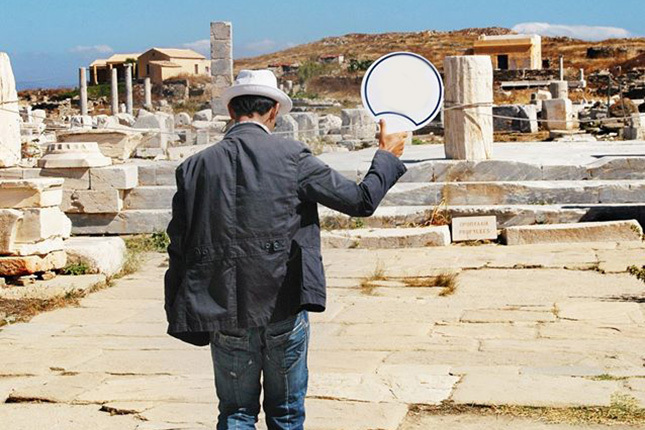 Just a hop away from the cosmopolitan island stands Delos, one of the most important archaeological, historical and mythological sites in the world. 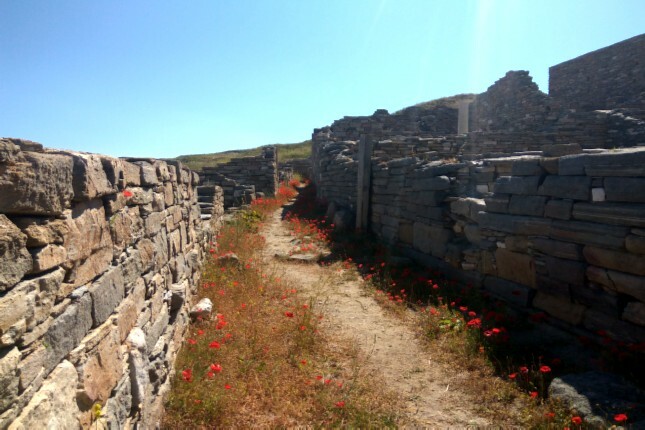 The island of Delos is located in the center of the Cyclades archipelago. Because of the islands which form a circle around Delos, the whole group was called the Cyclades. The brightest spot in all the Mediterranean is a UNESCO world heritage site and, as mythology has it, was the birthplace of the immortals; the twin deities God Apollo, the god of light, and Goddess Artemis. 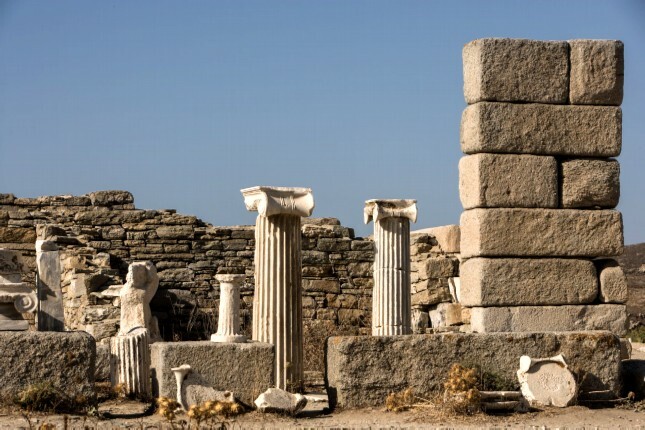 Delos Island is a big sacred sanctuary with statues and temples dedicated to different Gods. 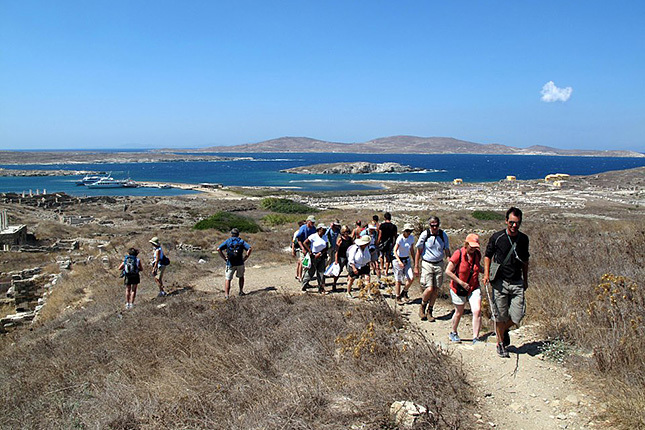 The island itself is now a huge archaeological site and is uninhabited, although throughout the day, in the summer months, there are hundreds of tourists who arrive from the neighboring islands of Mykonos, Tinos and Naxos. According to myth, in ancient times, God Apollo, the god of light, was born on Delos Island, therefore, rendering it sacred. No mortal was allowed to be born on this land. No mortal was allowed to die on it either. This sacred sanctuary can only be visited as it was, is and will be home to no one. 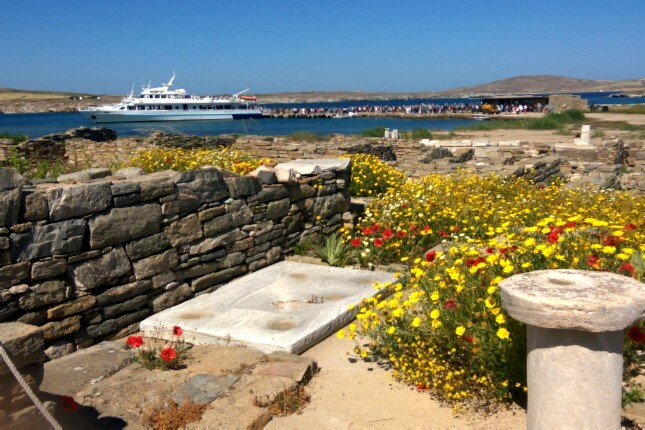 When arriving at the port of Delos, one first witnesses the sacred harbor, the Agora of the Competialists and then the entrance of the Sacred Way. The Sacred Way used to be a monumental avenue which led to the Temple of Apollo. However, all that is left now are their marble bases. The Agora was a great open-space marketplace full of shops, many of which can still be seen today. In the center of the Agora, there are two shrines dedicated to Hermes and Maia, therefore, referred to as the Agora of Hermaists. 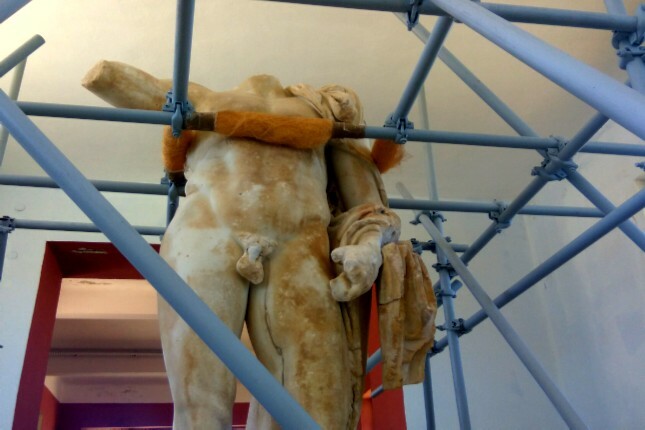 The Sanctuary of Apollo was the most important place on the island in ancient times. It is located at the end of the Sacred Way and while there is not much remaining to be seen today, it originally consisted of three different temples. The Great Temple of Apollo was considered to be the main temple. The other two were the Temple of the Athenians and the Porinos Naos. The oval-shaped Sacred Lake is also located within this area. The lake, which is now dry, was believed to be where Leto gave birth to God Apollo and Goddess Artemis. 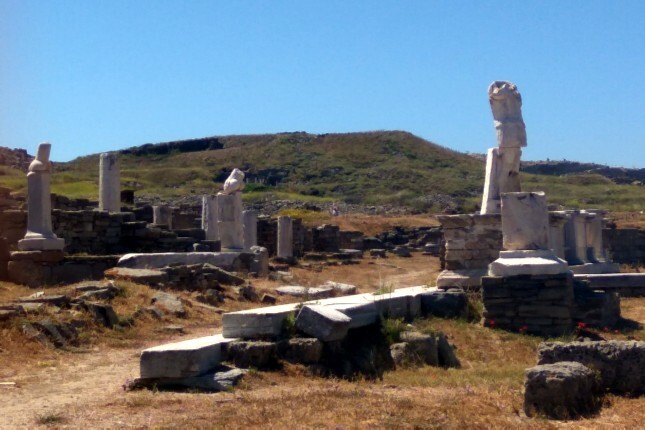 The Terrace of Lions is the most distinguishable monument on Delos, stand as the awaken guardians of the God and the site. Originally, there were nine to twelve squatting lion statues guarding the Sacred Way. The statues which can be seen today are replicas. 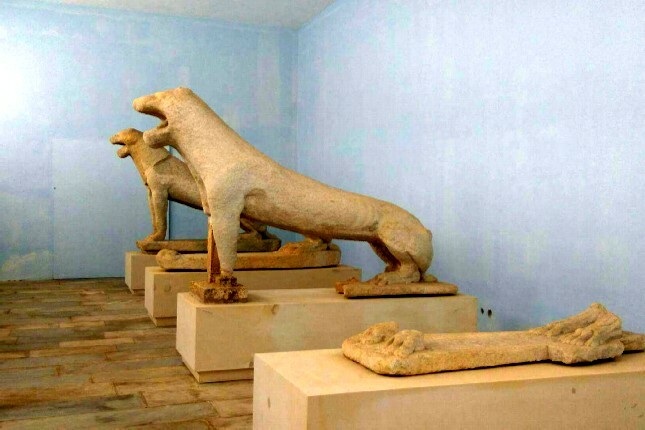 Five of the original Lions are now hosted in the Museum of Delos and one in Italy, above the main gate of the Venetian Arsenal. The center of the Theatre of Delos, the orchestra, is considered to be the brightest spot in the Mediterranean and was completely built in marble. It could seat 6500 spectators. Near the theater, one can also see buildings with the most impressive mosaic floors. 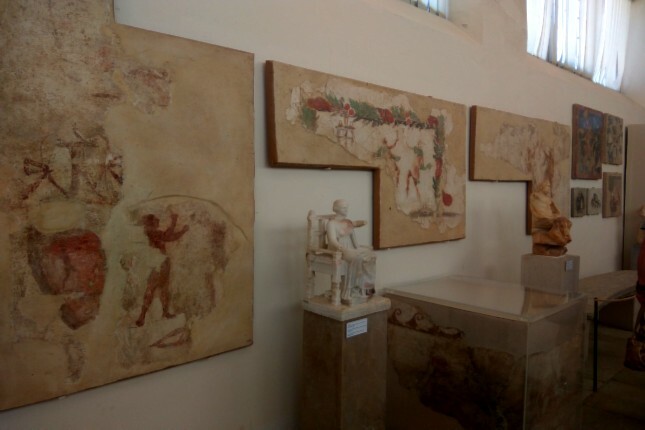 The excavations from the archaeological site of Delos and the surrounding area, an ongoing project, are exhibited in the Archaeological Museum of Delos and in the National Archaeological Museum of Athens. 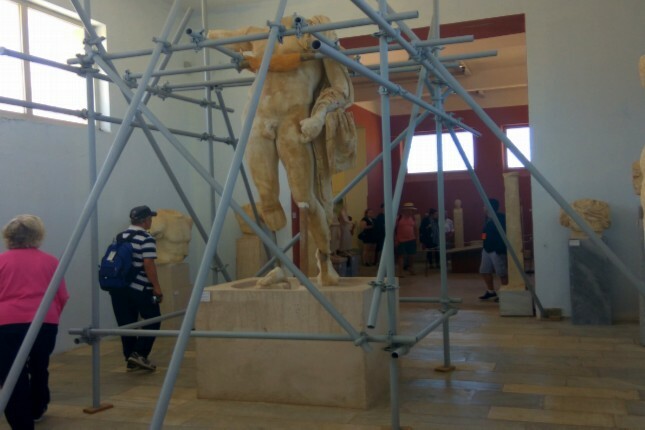 In the museum, along with the original set of Lion statues, one can admire the Archaic, Classical, Hellenistic and Roman sculptures, an assortment of vessels from all periods as well as small items of daily use. 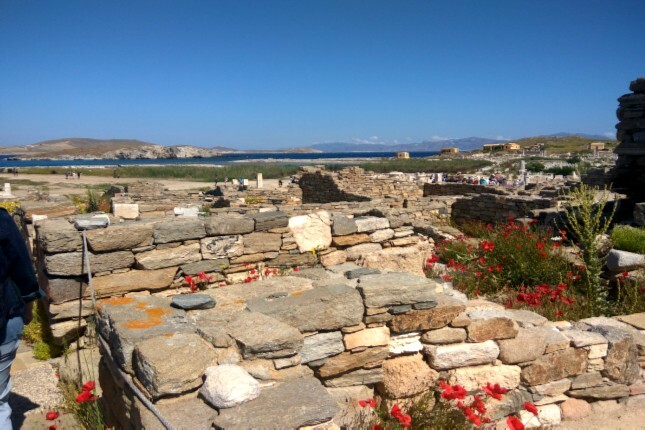 The Light of Mykonos & a tour of Delos Islet is a MUST DO - take a boat, avoiding the crowds, and visit the birthplace of God Apollo, the God of light! 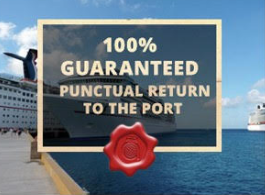 You will be able to visit the brightest spot in all the Mediterranean, literally! 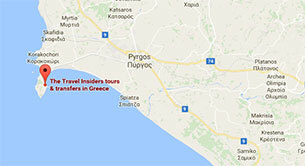 Along with your guide explore one of the most fascinating ancient sanctuaries in Greece. 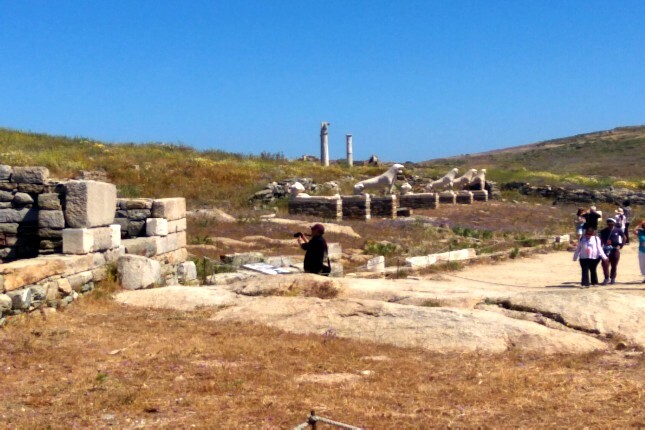 The site of Delos is explored on foot. 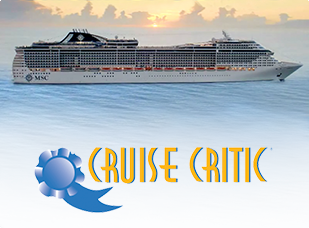 So, where comfortable shoes and don't forget your sunblock!